WASHINGTON — Attorneys for Prime Inc. and truck driver Dominic Oliveira argued before the U.S. Supreme Court on Oct. 3 the merits of a lawsuit that could deprive fleets and owner-operators alike of their right to resolve disputes through arbitration. The 2015 class-action lawsuit was filed by Oliveira, an independent contractor who alleged that Prime violated state and federal law by failing to pay him, and other similarly situated Prime drivers, minimum wage. 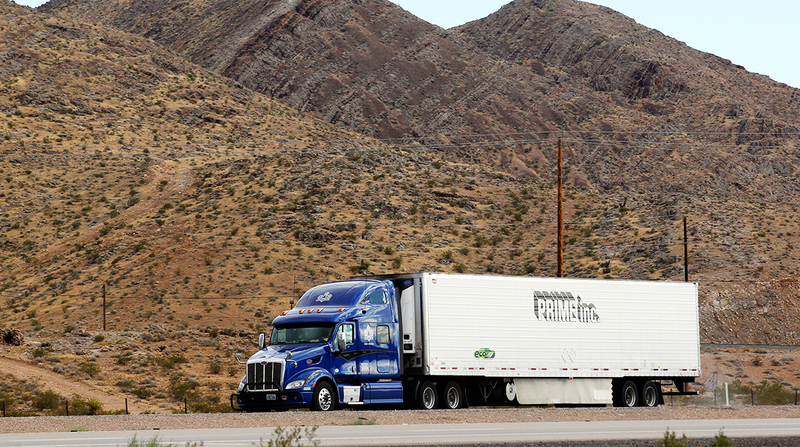 However, at issue in the case is whether Oliveira, who signed a contract with Prime agreeing to take any disputes to arbitration, is exempt from the requirements of the Federal Arbitration Act and has the right to sue the motor carrier because he is by the statute an employee. Prime attorney Theodore Boutrous Jr. of Los Angeles asked the court to overturn an appeals court decision that held that independent contractor agreements are contracts of employment and therefore exempt from the legislation, freeing them to sue. Prime moved to compel arbitration under the Federal Arbitration Act, based on an arbitration clause contained in the operating agreement that required Oliveira to sign. But the carrier’s arguments were rejected at the federal district court and appeals court levels. “What about the argument here that the independent contractor status was a sham, that it was a label rigged to make this person appeal on the face, as you said, an independent contractor when, in fact, [Prime] calls all the shots?” Justice Ruth Bader Ginsburg asked. “We disagree, obviously, on the merits,” Boutrous responded. Jennifer Bennett of Oakland, Calif., Oliveira’s attorney, told the court that all independent operators should be exempted from the Federal Arbitration Act since they are actually employees under the broad definition contained in the Federal Arbitration Act. “Whether you look at statutes, case law, newspaper articles, even actual contracts themselves, the result is the same: The vast majority of sources call independent contractors’ agreements to perform ‘contracts of employment,’ ” Bennett said. The decades-old arbitration act attempted to facilitate the use of arbitration to speed up the dispute-resolution process and help clear the courts of congestion due to heavy case loads. Prime argued in its petition for a writ of certiorari with the high court that the arbitration law generally does not exempt independent operators from complying with arbitration agreements in their employment contracts. In court documents, the Springfield, Mo.-based motor carrier, No. 18 on the Transport Topics Top 100 list of the largest for-hire carriers in North America, asserted that an independent contractor’s agreement to perform work for a carrier cannot possibly be viewed as a “contract of employment” within the meaning of the Federal Arbitration Act. However, the 1st U.S. Circuit Court of Appeals disagreed with Prime, ruling last year that contractor arbitration agreements may not always be enforceable for independent contractors — or for company employee drivers. The appeals court viewed the exemption expansively and “effectively eliminated arbitration as a viable means of dispute resolution for the entire transportation industry,” Prime said. Oliveira’s attorneys said the decision doesn’t render arbitration agreements in the transportation industry unenforceable. “It merely means that a small subset of those agreements must be enforced under state law, rather than federal law,” Oliveira said in court documents. American Trucking Associations and the U.S. Chamber of Commerce have filed “friend of the court” briefs in support of Prime. “By agreeing to arbitrate, motor carriers and owner-operators alike avoid costly and protracted litigation, instead committing to rely on what both Congress and the courts have repeatedly endorsed as an efficient, fair and less adversarial means of dispute resolution,” ATA said in its amicus brief. The chamber said the appeals court decision announcing that the arbitration act does not apply to independent contractors in the transportation industry conflicts with the decisions of two appellate courts and numerous other courts. Many of the chamber’s members and affiliates regularly rely on arbitration agreements in their contractual relationships, the chamber said. “Arbitration allows them to resolve disputes promptly and efficiently while avoiding the costs associated with traditional litigation. Arbitration is speedy, fair, inexpensive and less adversarial than litigation in court,” the chamber said.